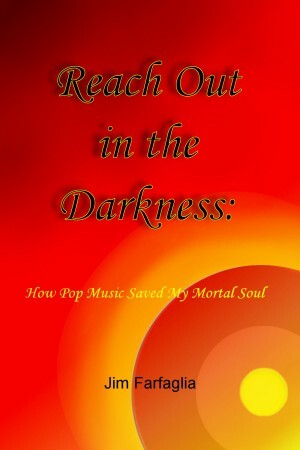 Jim Farfaglia has recently released his third book of poems, Reach Out in the Darkness: How Pop Music Saved My Mortal Soul. Farfaglia will give a presentation of the book on October 23 at the river’s end bookstore. 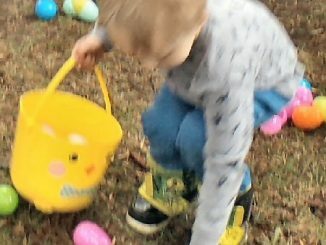 The event will feature music by Gina Holsopple and Matthew Wood. OSWEGO, NY – When Jim Farfaglia was deciding on a theme for his latest book, he didn’t have to look farther than his record collection and the oldies radio station. Titled Reach out in the Darkness: How Pop Music Saved My Mortal Soul, Farfaglia crafted a book that features 60 poems about 1960s and 1970s singers and songs, and the cultural experience they created. Farfaglia spent the last two years revisiting his favorite singers’ music, watching video of them in performance and reading their biographies and memoirs. He then spent several months composing, editing and having his poems critiqued in writing groups and classes. “The immersion back into that time period really opened me up to write my poems. The feedback from others who related to those songs really helped me see if I was on the mark with what I was trying to say,” he said. Farfaglia will present his book at the river’s end bookstore, 19 W. Bridge St., on October 23 at 7 p.m. The bookstore will be providing refreshments. For more information about the event, contact Farfaglia at his website www.jimfarfaglia.weebly.com or the bookstore at (315) 342- 0077.